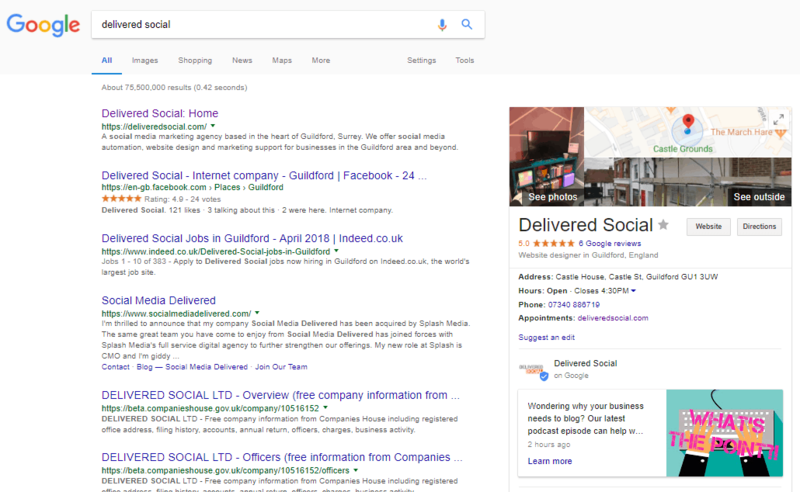 When someone searches for your business on Google, they will probably see two things: a list of random web links on the left (some of which will be relevant), and a box on the right with your business’ contact details and general info. Google My Business relates to that box on the right, which, as you’ll notice, is positioned right at the top of the page. It’s a prime piece of digital real estate, and it’s completely up for grabs. Through Google My Business, you can take control of that box on the right. Putting your best foot forward, you can use snazzy pictures to draw the eye and up-to-date information to ensure that everyone knows how to contact you. If no one has ever actively contributed to your Google My Business listing, there’s a chance that out-of-date information is being pulled automatically from an old web page. No one wants that! As well as putting in the correct contact details and some eye-catching interior and exterior images of your business locations, you can also use Google My Business to post timely updates pertaining to your company’s current goings-on. Just like a Facebook status or a freshly minted Tweet, deploying the right combination of text, image and link on your Google My Business account can help drive traffic to your site. Your Google My Business box (also known as your ‘Google Listing’) will compile any reviews you’ve accrued over your company’s history. Whenever you have a positive interaction with a customer, then, make sure you ask them for a review. If you do this, new prospective customers will have easy access to your back catalogue of praise whenever they search for you on Google. That’s bound to help you win their custom. Taking control of your Google Listing couldn’t be easier. To sign up for Google My Business and supercharge your company’s search engine presence, you just need to click here and follow some simple steps. For more easy-to-implement advice on how to boost your online presence, book in a social clinic with one of our industry experts today!